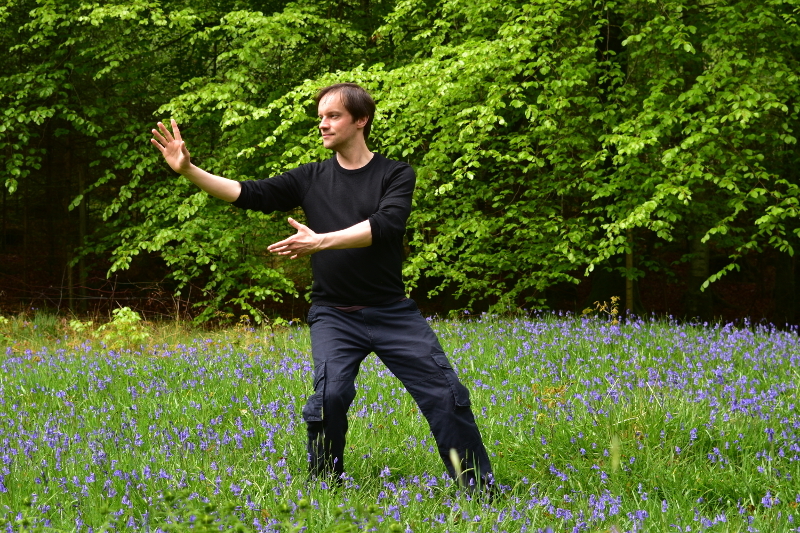 Alan Skirving is a Tai Chi & Qigong teacher based in Glasgow. He began practising in 1997, in the Cheng Man-ch’ing and later Huang Sheng Shyan lineages of Yang Style Tai Chi. Alan has spent the past two decades training with senior teachers in this lineage. He has also explored other Tai Chi styles, and other forms of body-mind & movement practice. Alan is a registered advanced instructor with the Tai Chi Union for Great Britain and began teaching professionally in 2015, having previously worked in the NHS. Alan has practised Yoga since 1998 with a particular interest in ‘Scaravelli-inspired’ yoga. He has studied with many inspiring teachers in that approach for over ten years and has undertaken yoga teacher training programmes. Alan has also explored various forms of meditation and related practices, attending retreats and workshops in many different traditions over the past decade. Alan’s approach to Tai Chi and Qigong is open-minded and holistic, influenced by his wider experiences, with the main interest being health, well-being and enjoyment of the practice.